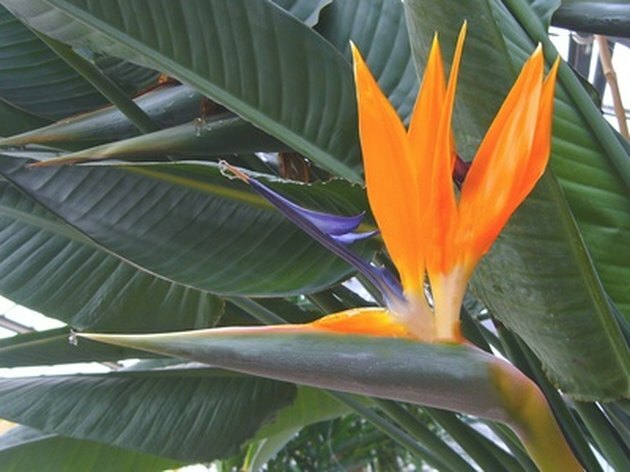 Bird of paradise is the common name for two genera: Strelitzia and Caesaplinia. Both are tropical, drought-tolerant plants with bright, hot-colored blooms. They all work well as borders or specimen plantings. Strelitzia are clumping or tree-forming evergreen perennials with long leaves resembling banana tree leaves. The blossoms resemble tropical birds in flight. Caesalpinia (also dwarf poinciana) are evergreen or deciduous desert-adapted trees or shrubs with small, oval leaves and brightly-colored clusters of flowers. The orange bird of paradise (Strelitzia reginae) is orange-blooming with clumping leaves that shoot 3 to 5 feet from the crown. White (Strelitzia alba) and giant (Strelitzia nicholai) bird of paradise bloom white. The white forms a tree 18 feet tall and the giant 30 feet tall. The red bird of paradise (Caesalpinia pulcherrima) and yellow (Caesalpinia gilliesii) have the same size and shape, but the yellow-blossoming species is hardier. Mexican bird of paradise (Caesalpinia mexicana) blooms sulfur yellow with a strong fragrance. The Juncea bird of paradise (Strelitzia reginae var. juncea) is similar to the orange species, but the blooms are smaller. Mandelas's Gold produces yellow blossoms instead of the typical orange. 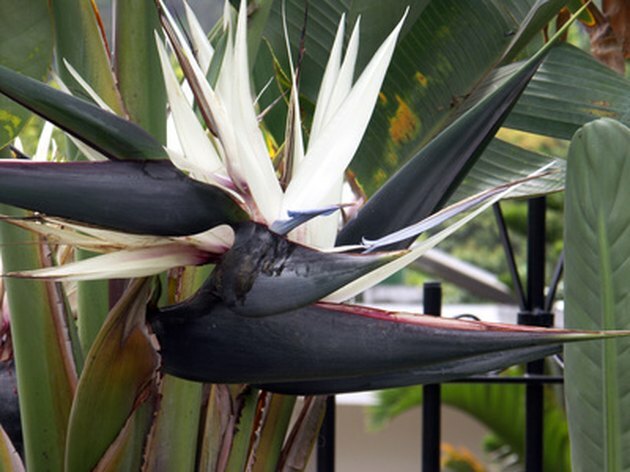 Dwarf bird of paradise such as humilis and pygmaea only grow 18 to 20 inches tall. 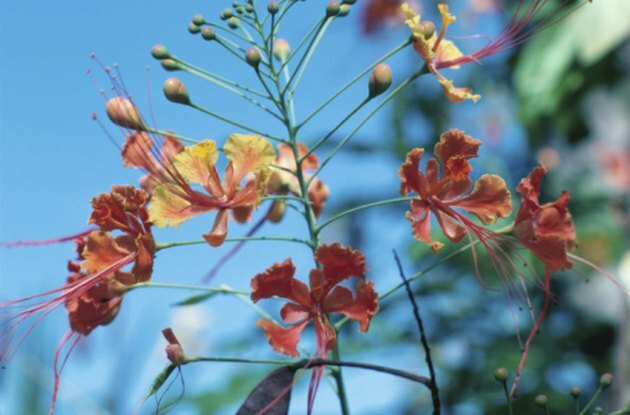 Caesalpinia pulcherrima phoenix is a red bird of paradise but blooms gold. 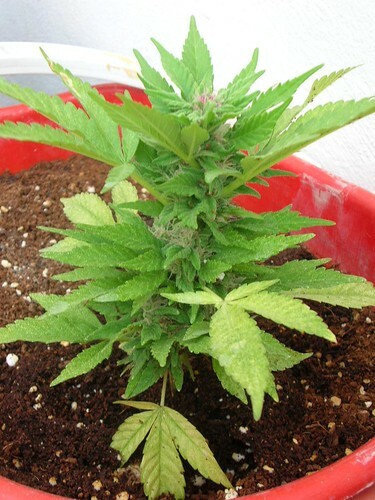 What Plants Are Mistaken for Marijuana?